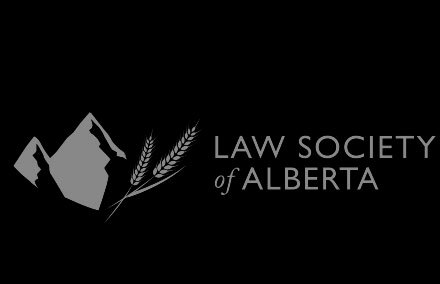 The Canadian Centre for Professional Legal Education (CPLED) is established pursuant to the Societies Act (Alberta) and it has the responsibility on behalf of the Law Society of Alberta, Law Society of Saskatchewan, and Law Society of Manitoba for delivering the bar admission course. “Personal Information” means information about an identifiable person, but does not include information that is created by aggregating information about an identifiable person which does not identify or cannot be associated with a specific person. “Personal Information” does not include a person’s name, position name or title, business telephone number, business address, business e-mail, business fax numbers and other similar business contact information. “Person” includes anyone who purchases, uses or partakes of any products or services offered by us regardless of the format such products and services are delivered in; and includes, students-at-law attending the CPLED Program. Where practical, we will try to collect Personal Information directly from the person to whom the information pertains. Where necessary, we will collect personal information from other sources. We will collect only the personal information necessary for the purposes stated in this policy. The legislation provides that an individual is deemed to consent to the collection, use or disclosure of Personal Information about that individual for a particular purpose if the individual voluntarily provides the information for that purpose, and it is reasonable that a person would voluntarily provide that information. In determining the appropriate form of consent, we will take into account the sensitivity of the Personal Information and the reasonable expectations of persons. In general, the use of products and services provided by us to a person constitutes implied consent for us to collect, use and disclose Personal Information for all Identified Purposes. A person may withdraw his or her consent at any time, subject to legal or contractual restrictions and reasonable notice. Individuals may contact us for more information regarding the implications of withdrawing consent. 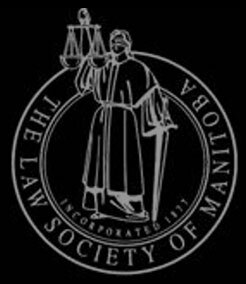 In the case of the bar admission course and the CPLED program, persons are required by law to provide Personal Information. When we collect, use or disclose personal information, we will make reasonable efforts to ensure that it is accurate and complete. We will not use or disclose Personal Information for purposes other than that for which it was collected, except with the consent of the person or as permitted or required by law. We may disclose Personal Information to third parties, including anyone who in our reasonable judgment is seeking the Personal Information as an agent or authorized representative of the person to whom the Personal Information relates; a company or individual employed or retained by us to perform functions on our behalf, including research; data processing; preparation and delivery of services; mailing and other modes of provision of information. We will protect Personal Information by using reasonable safeguards appropriate to the sensitivity of the information and will make reasonable efforts to protect Personal Information against loss or theft, as well as unauthorized access, disclosure, copying, use or modification regardless of the format in which it is held. The legislation also allows us, for legal or business purposes, to retain personal information for as long as is reasonable. Upon written request, we will inform a person of the existence, use and disclosure of and will give a person reasonable access to his or her Personal Information, except where we are required by law to deny such access or as permitted by law and we have legitimate reasons to deny such access. In certain situations, we may not be able to provide access to all the Personal Information that we hold about a person, for example, if access would reveal Personal Information about another individual or would reveal confidential commercial information. If access is denied, we will provide the reasons for denying access and the forms of recourse that the person has. We will respond to a person’s request within a reasonable time and not later than the time required by law, subject to extensions permitted by law, in which case we will notify the person of such extension, the reason for the extension, the time when a response from us can be expected and the types of recourse a person may have in relation to the decision to extend. The legislation permits individuals to submit written requests to us to correct errors or omissions in their Personal Information that is in our custody or control. We will correct the Personal Information and, if reasonable to do so, send correction notifications to any other organizations to which we disclosed the incorrect information; or decide not to correct the Personal Information, but annotate the Personal Information that a correction was requested but not made.